Welcome back to our weekly Pinterest Link Party. 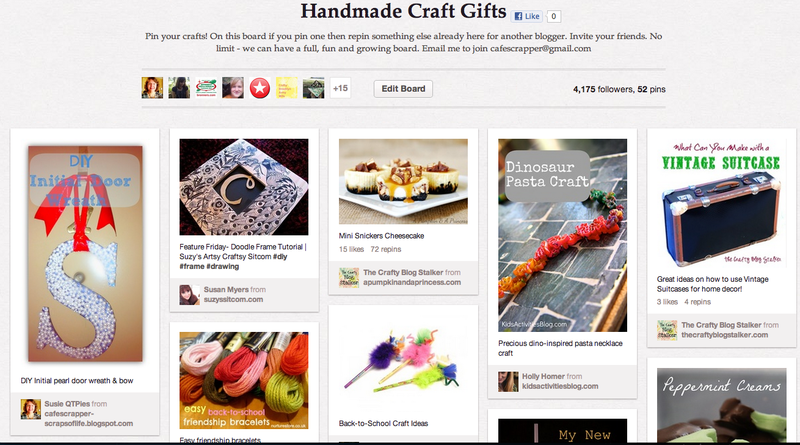 All you need to do is link up pins that you want to get a repin on Pinterest. 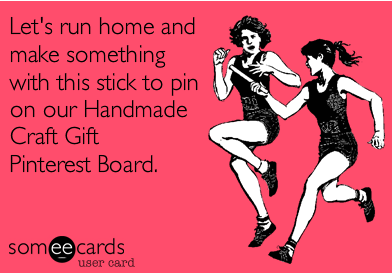 This week I'm featuring my Handmade Craft Gifts. Stop over and check out the board. It has 4,175 followers and over 50 pins. If you have any crafty gift ideas, please share them in the linky and I will repin them to my board. I also have 22 contributors on this board and would LOVE to add you. To participate, you just need to be on Pinterest. Leave your pinterest linky below or email it to me at cafescrapper@gmail.com and I will add you to the board. While you are here today, stop over and enter in The Crafters Dream Giveaway! I have 3 giveaway prizes and there are 19 other bloggers with crafty giveaways!!! Check it out!